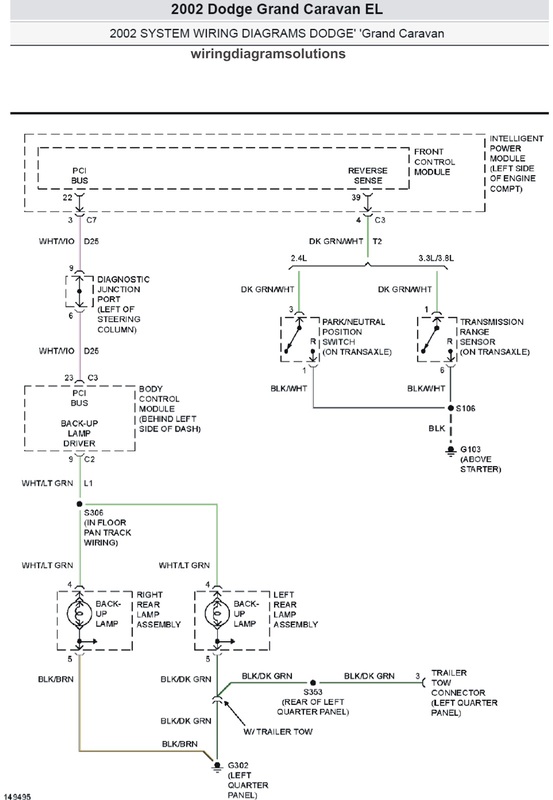 Now I will post about the next schematic wiring diagram for the2002 Dodge Grand Caravan EL System Wiring Diagrams. I suggest that you who will have a work on wiring system, should understand the component first, before having your wiring works. 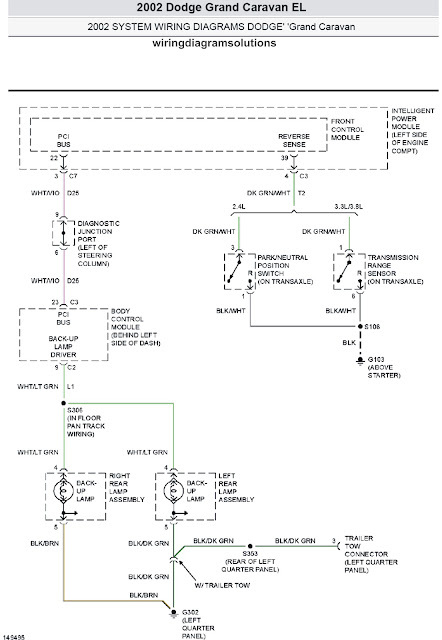 This 2002 Dodge Grand Caravan EL System Wiring Diagrams contains some parts of the schematic electrical diagram, namely: front control module,intelligent power module, diagnostic junction port, park/neutral position switch, transmission range sensor body control module,right/left rear lamp assembly, trailer tow connector, back up lamps.